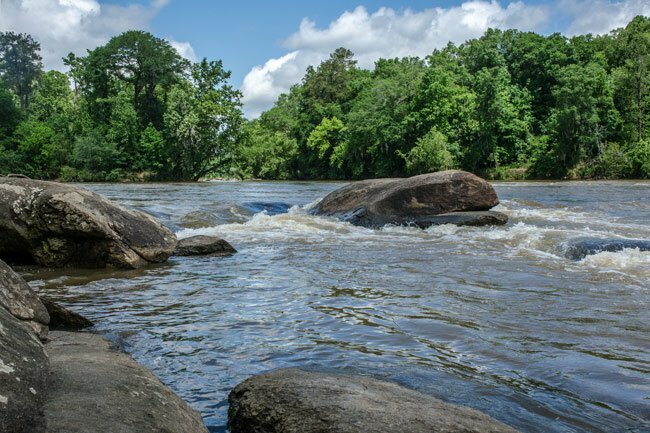 This river, just 47 miles in length, takes its name from the Congaree Indians who once inhabited its shores. The Columbia skyline can be seen from this urban oasis that invites visitors to rock hop and kayak its flowing waters. 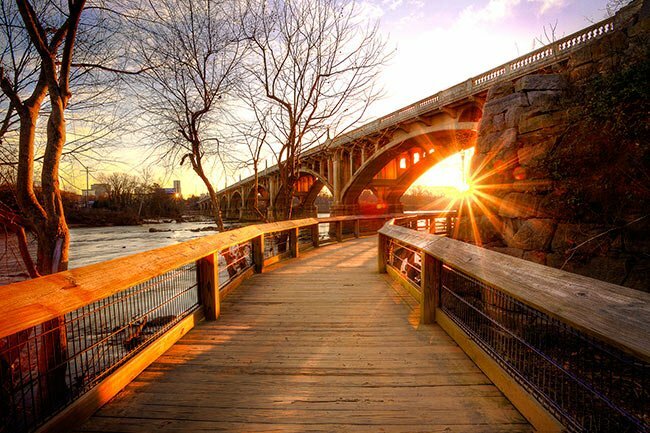 The short river begins in the capital city with the confluence of the Saluda River and the Broad River. 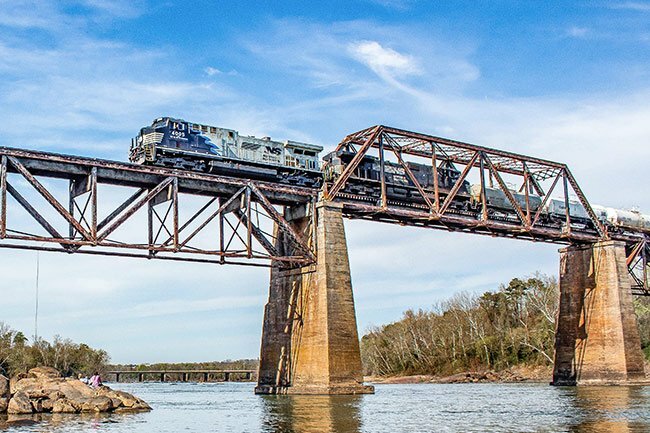 The Three Rivers Greenway in Cayce provides public access where one can enjoy watching these scenic rivers merge. 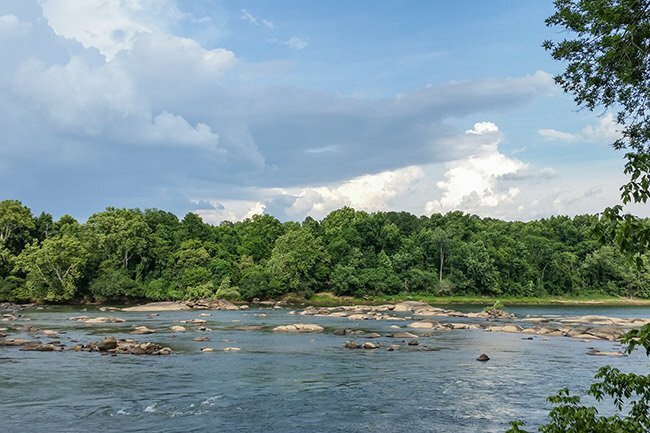 Downstream, joining with the Wateree River just above Lake Marion, the Congaree and Wateree together form the Santee River. The Santee River then flows through the coastal plains and empties into the Atlantic Ocean. 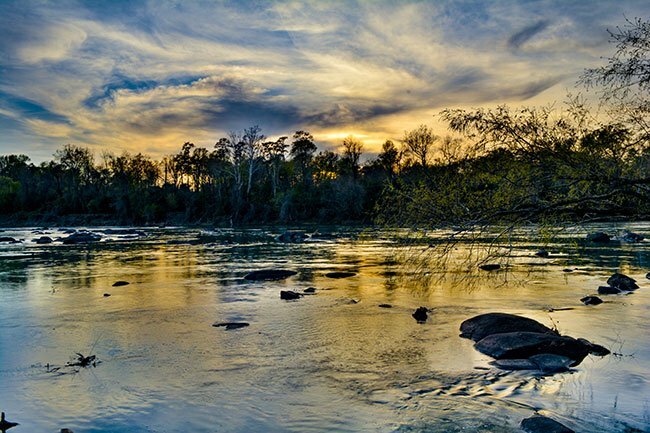 The Congaree River flows through Congaree National Park in Hopkins, about 20 miles southeast of the capital city. 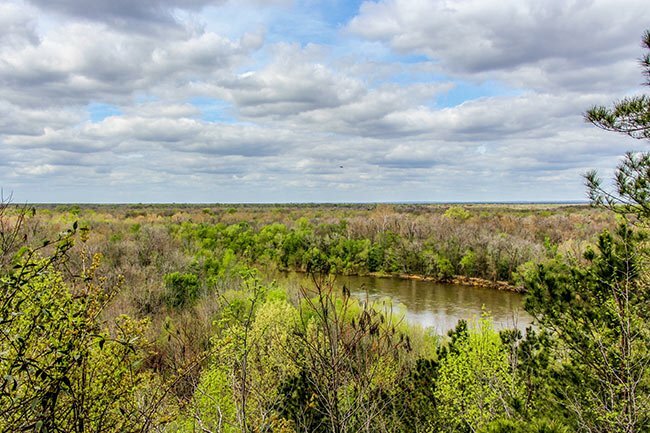 The 22,000-acre park is the largest tract of old growth bottomland hardwood forest left in the United States. 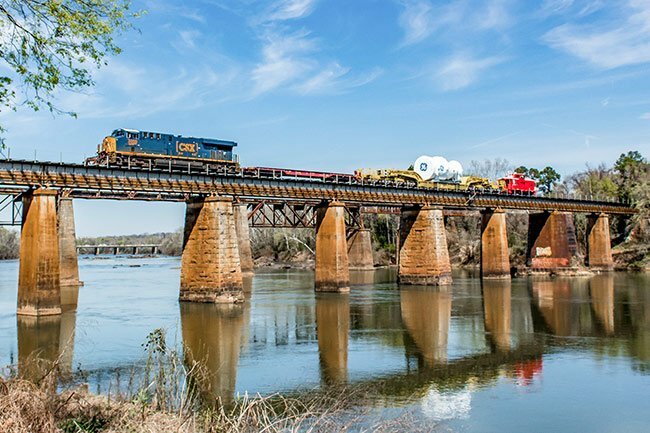 Reginald McDowell of Irmo shares the photo above and says: “In this photo, you see the CSX W999 General Electric Dimensional Load crossing the Congaree River heading towards Cayce, South Carolina. The load it’s carrying is a Gas Turbine produced at the General Electric Gas Turbine Facility in Greenville, South Carolina. The train is taking the turbine to Charleston, South Carolina, for export to Europe.